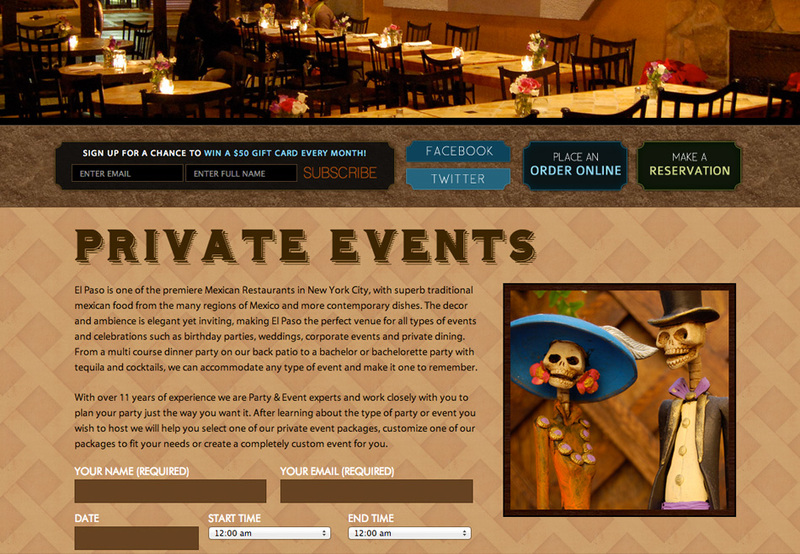 El Paso Restaurante had an outdated web presence that did not fully represent the business. They wanted a fun and colorful design that mimicked many of the restaurant’s interior design elements, as well as the functionality to promote specials, events, and menus. Other features on the site include a gallery, a form for private event inquiries, online ordering and reservations through Opentable.